The elegant shape of this design knife reminds the subtle shapes of the emblematic Laguiole knife. 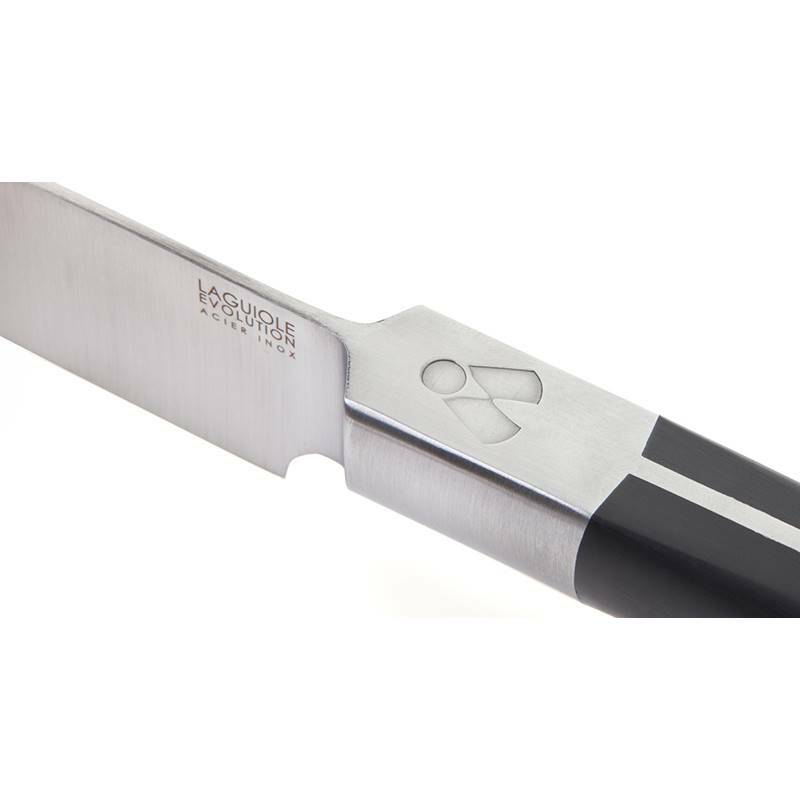 Its ergonomic handle takes over the lines that made the Laguiole knife so famous. 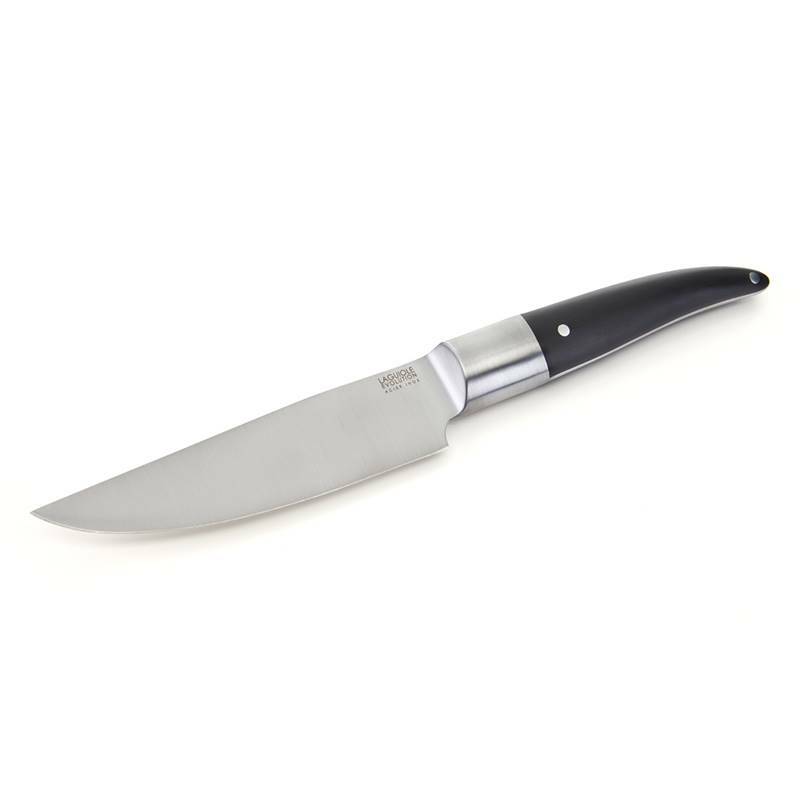 The large bolster of this sublime kitchen knife as well as the solid rivets ensures an outstanding sturdiness. 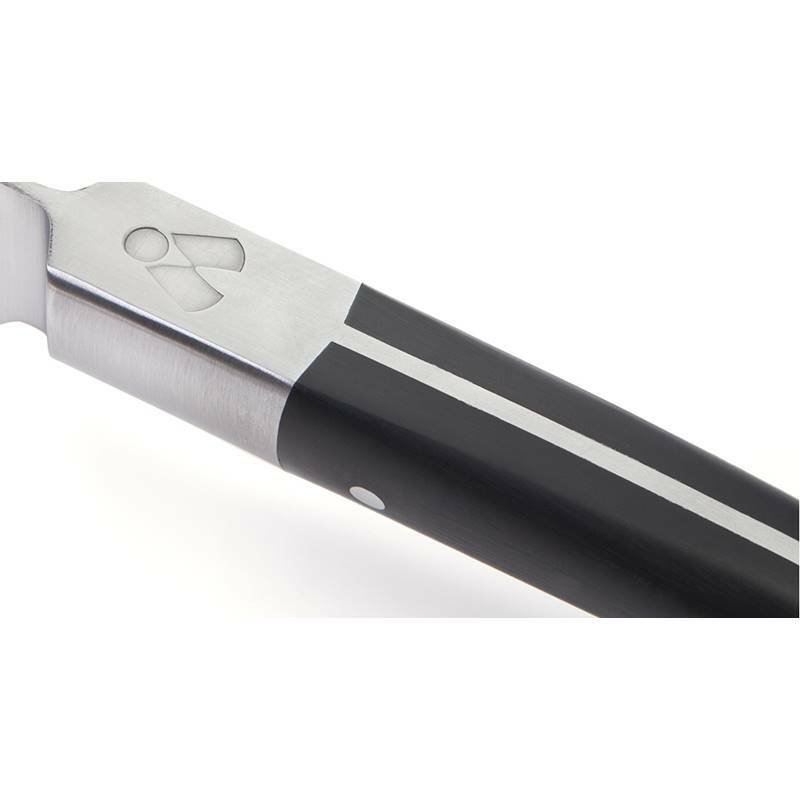 This versatile knife is part of the must-have chef knifes to easily and rapidly cut all types of products. 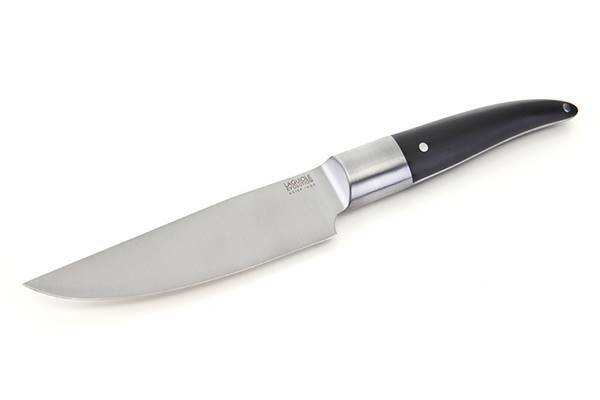 Manufactured in a full tang forged blade, it ensures cooks, a very high resistance to frequent uses. 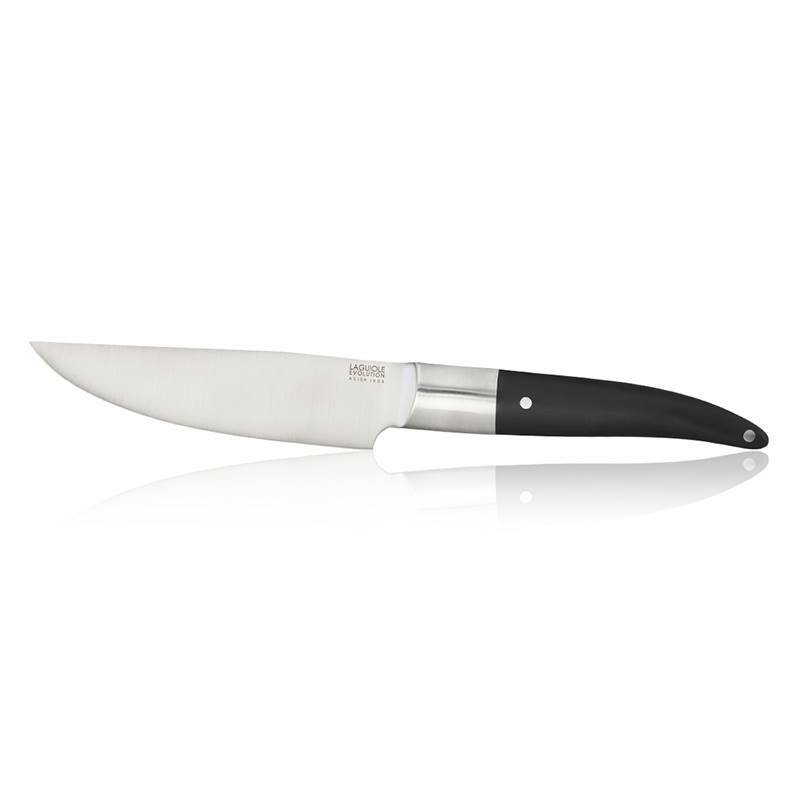 Made of tempered stainless steel of 2mm thick, the sublime blade of this kitchen knife has sharpened cutting edge to ensure the most various cuts. It can also be a wonderful gift as the blade can be personalised with a message marked by laser engraving up to 30 characters.